The Artemis dynamic mattress system has been developed for very high risk users. The Artemis dynamic mattress system has been developed for very high risk users, the dual therapy system offers both alternating therapy for effective pressure relief and constant low pressure to reduce peak pressures. 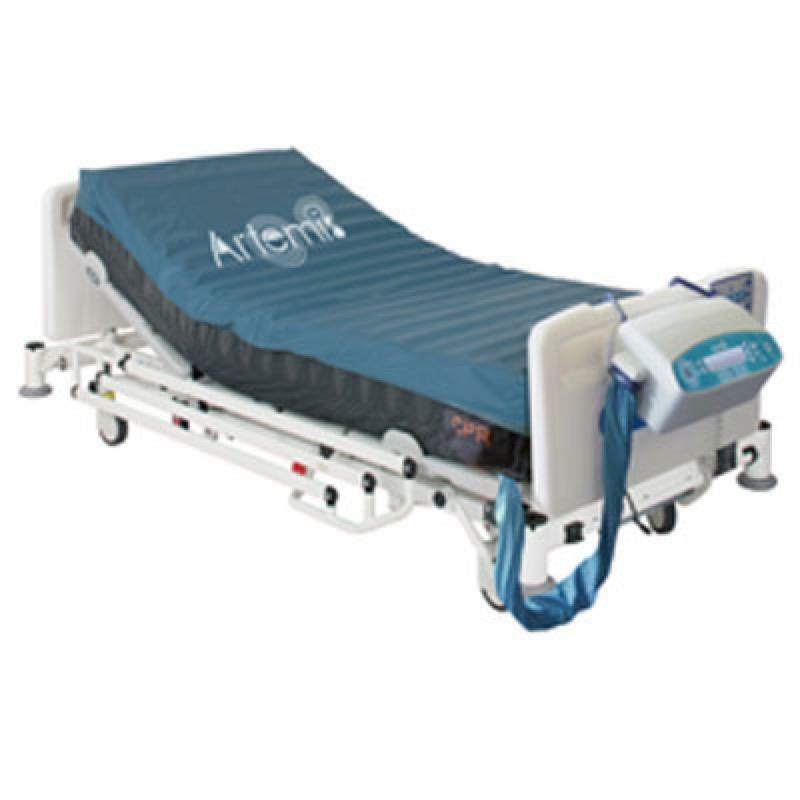 The Artemis has a 2 cell alternating dynamic pressure therapy, full mattress replacement system which has been designed for high/ very high risk users. Automatic pressure adjustment- instantly reacts to changes determined by the patient weight and how they are positioned. Mattress Alarm which will alert the carer when no patient weight is detected on the mattress. Zoned mattress system for optimum outcomes. Two way stretch , waterproof/vapour - permeable top cover with concealed zips.